There’s no denying that speed bag work outs are crucial to any boxers routine. With that in mind, not everyone can make it down to the gym on a regular basis. Fortunately, speed bags are pretty easy to get set up at home. You need a few things things first, one of them being a platform. This is a vital component that allows you to hang your own speed bag at home, without it, there’s no speed bag work outs for you. 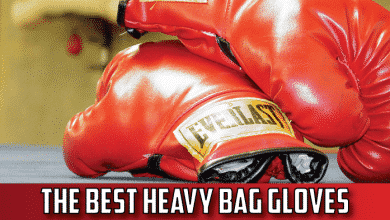 Of course, you're going to need a speed bag as well, so head over to our list of the 10 best speed bags if you haven't already. 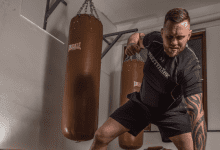 That’s why we’ve compiled this list of the best speed bag platforms on the market, allowing you to figure out which is the right model for you and where you can get it from. When it comes to buying a speed bag platform, you’ll come across two different types that I’ll discuss below. If you didn’t guess from the name, these are fixed into their position, meaning that their height can’t be adjusted. These tend to be cheaper than adjustable platforms, due to their simpler design. Who are they meant for? 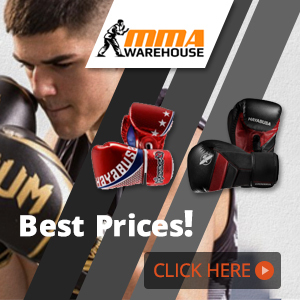 – These are designed for those of you are are either shopping on a budget, or are going to be the only person using the speed bag. If there’s no need to adjust the height, then you may as well go for the cheaper option. 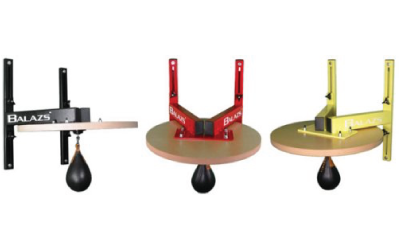 Unlike fixed platforms, adjustable speed bag platforms are able to change height. This means that people of different heights are able to use the same speed bag. Similarly, you can use different sized speed bags for your work out and adjust to the height of the platform accordingly. In my opinion, these are the better option, as they allow for more flexibility in your work out. Who are they meant for? – Any one who plans on sharing the speed bag with someone of a different height, or who has more than one size speed bag. When trying to determine which is the right speed bag platform for you, there’s a few key aspects that you should pay attention to. Different makes and brands will have slightly different designs, however each pretty much boil down to the same concept, with the same key components that need to be assessed. As with most different types of punching bags, having an adjustable height is extremely important. This will allow you to change the height of the speed bag, which in turn will allow you to use different speed bags, as well as allow people of different heights to use the one bag. 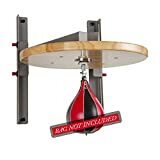 Most speed bag platforms typically have a range of 12” to 15”, however some of the cheap speed bag platforms will hardly move, or not be adjustable at all. When working out on a speed bag, getting into a rhythm is integral to the success of your routine. If a speed bag platform has a loose frame that sways or vibrates, it can directly cause the speed back to rebound inconsistently. If you’ve ever worked out on an old speed bag platform that’s starting to come loose, you’ll know what I’m talking about. It’s extremely hard to get into a rhythm and completely ruins the work out. First off, lets discuss what the ‘drum’ actually is. 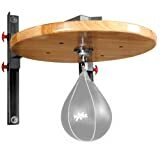 When you look at a speed bag platform, there will be a circular/ round board, usually made out of wood that the speed bag is attached to. The material of this board can vary from brand to brand, however the vast majority of brands will use wood. The solid material of the drum is what allows the speed bag to rebound at a fast and consistent speed, as well as connecting the speed bag to the rest of the platform. Some of the cheaper options can be made out of plastic, which to be honest, is pretty rubbish and tends to break a lot easier. The price you pay for your speed bag platform will most likely have a directly correlation to its’ overall quality. Cheap models tend to be made from worse quality materials (such as plastic), and not only provide a worse work out, but are much easier to break broken. As such, I would recommend going for a high quality platform from a reputable brand that you trust. Although this may cost slightly more, it will save you money in the long run. Does it Come with a Swivel? 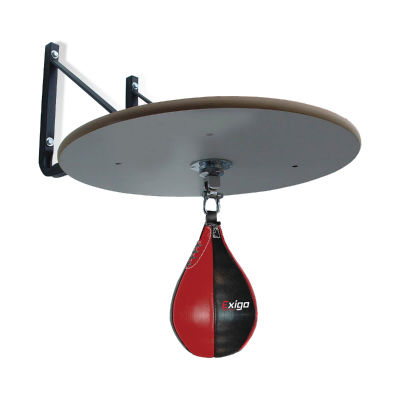 Some speed bag platforms actually come alongside a speed bag swivel. This in turn will save you money and the effort shopping around for a completely separate swivel. Ok, below is a list of the best speed bag platforms on the market. 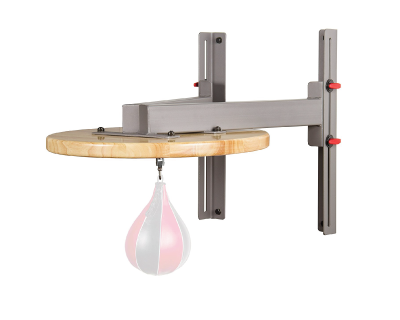 First up we’ve got the Balazs adjustable speed bag platform. Balazs are a small, family run company that produce hand made, top of the range boxing equipment. They’re renowned in gyms across the US and around the world of their durable, long lasting products that don’t break the bank. It's frame is made using ultra-stiff heavy gauge steel that produces a sturdy structure that provides more strength and resistance to vibrations. The drum itself is 1 ¾-inches thick and is constructed out of high quality and durable maple hardwood. Not only is this the perfect weight and quality, but also looks amazing, something that can’t be said of a lot of speed bag platforms out there. The design of the Balazs allows the speed back to be adjusted up to 12” inches. As I mentioned earlier, this allows you to train using different sized speed bags, and lets people of different heights work out using the same platform. The Balazs also comes alongside a professional standard swivel, which is awesome as it saves you both time and money getting one seperately! Another brilliant feature is that it’s available in three different colours – black, red and yellow. This allows you to pick a one that matches your personal preference and the style of your home gym. When you take into account the reasonable price of the Balazs i-Box, it really is a no brainer. This is by far one of the nicest looking models on our list. It sports a slick minimalist design alongside one of the highest quality builds on the market. Similarly to Balazs, XMark are a relatively small company that produce a variety of boxing and home gym equipment. They’re also known for offering their products for extremely affordable prices, however it’s unfortunate that this is one of their more expensive items. The XMark features a 11-gauge steel mainframe that once attached to the wall, provides an incredibly solid structure with minimal vibrations. With a 24” drum manufactured using 1 ½ inch thick oak hardwood, the XMark is by far one of the most durable on our list. This provides a solid base for the speed bag and in turn helps to prevent vibration felt on the bag itself. The wide drum of the platform also means that you can use any size speed bag. What's more, the platform has a 15” height adjustability, which allows you to create a truly unique and custom speed bag work out. A nice touch by XMark was to include a speed bag swivel with your purchase. To be honest, I’ve not heard the best things about this swivel, so I would recommend giving it a go, if you don’t like it, then you can take a look for a swivel separately. In terms of price, this thing isn’t cheap! However, you’re paying for the quality and longevity of the platform, which unlike other models, can last for a seriously long amount of time. I’m going to keep this short and sweet, the XM-4441 is essentially the exact same as the XM-2811 model we previously discussed. Both are some of the top platforms money can buy, however they have one key difference. That being the material used to construct the frame. The XM-4441 makes use of a more lightweight gauge steel, which in turn allows Xmark to offer this model for significantly less than the XM-2811. I know what you’re thinking - is this going to have effect on the quality of the product? I’m glad to tell you it doesn’t have much of an effect at all. As I mentioned earlier, XMark are known for releasing some of the best home gym equipment, so it’s highly unlikely that they’d sacrifice quality in order to release a more affordable product. 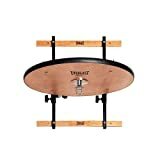 For me, this is probably the best value for money speed bag platform and comes highly recommended. 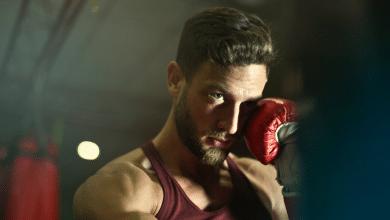 Everlast are one of the most well known boxing brands in the world, producing some of the highest quality products at some crazy affordable prices. With that in mind, it’s only fitting that they’ve not only released one of the best platforms on the market, they’ve done it for an affordable price as well. 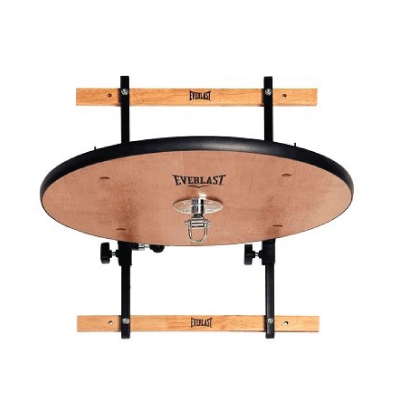 The Everlast Elite adjustable speed bag platform features a fairly basic design, is easy to use and won’t break the bank either. Unlike most other options out there, the Everlast model utilises wooden attachment frames, instead of metal, which is probably one of the main reasons they can afford to sell it for such an affordable price. These do a great job at firmly attaching it to the wall and as well as reducing any vibration from your strikes. The drum itself is 24” in diameter and 1” thick. To be honest, I feel as though this could do with being a bit thicker as most speed bag drums are around 1 ½ - 1 1/3 thick. As such, when you strike the speed bag, you can both feel and hear the vibrations, which can be pretty noisy, especially if you have neighbours. One way to counteract this is to place a 50lb or so sandbag on top of the drum, which pretty much resolves the issue. Another decent aspect of the Everlast Elite is its’ 8 different adjustable positions, spanning over 8” of height. Although this is a great feature, it doesn’t compare to some of the other models on our list that have well over 10” of range. Over all, the Everlast does leave a few things to be desired, however when you take into account it’s exceptionally cheap price, it’s still one of the best value for money models you can find. 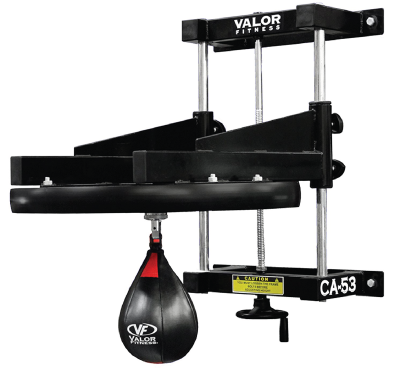 Up next we’ve got the Valor Fitness speed bag platform, which to be honest with you, looks pretty ugly. Despite its complicated aesthetic, the Valor CA-53 is pretty easy to set up and use. The Valor Fitness features a 2” thick drum that’s constructed using synthetic wood, which is incredibly sturdy and hardly vibrates at all when you strike the bag. I love the Valor Fitness’ unique adjustable height system. Some other models on our list require a fair amount of fiddling and tinkering to adjust their height. With the Valor model, simply turn the wheel at the bottom and the drum will either go up or down – SIMPLE. Plus, the platform has an adjustment range of 13”, which is a fair amount, especially when you compare it to the Everlast Elite model, which only has 8”. What’s even more impressive is how Valor Fitness include both a swivel and a speed bag alongside their platform. Admittedly, neither are the best quality, but it’s a welcome addition, especially for beginners who aren’t too bothered about having the best gear. Where the Valor Fitness somewhat lets itself down is the price. I feel they may have gone a tad over board with the amount of materials used and as such, need to sell it for a fair chunk of change in order to make any money. I wouldn’t deem it too expensive, however it’s still a fair amount to invest, even more so if you’re a beginner. I’m going to be honest here, I’ve never used or know anyone who has used this, but I’m definitely going to be giving it a go in the near future. I had a look across it’s reviews that are overwhelmingly positive, so I decided to include it in our list. This is by no means a professional model. It is however, incredibly easy to use and doesn’t require you to mount it to a wall, which is great if you’re in a rented property and can’t cause any permanent damage. It's also ideal if you're living in an apartment and need a small, quiet bag. You can simply get the bag out, set it up and put it away again when you're done. It can be installed in any doorway with a width of 27” – 42” and apparently only takes 5-minutes to set up. If this is true, that’s amazing, as I’m not what you would call a ‘handy man’, so it took me a good few hours to attach mine to the wall. Unfortunately, ​it is made from plastic, so it is going to vibrate a fair bit, however the platform has two foldable arms that push against the roof of the door to provide more stability. What’s super cool about this model in particular is that it can also be used for a double ended bag if you get the EZspeed bag ball and the floor mount. One of the more disappointing aspects of the EZspeedbag platform is the price. The price really lets it down and as such, I would only recommend this if you can’t mount a speed bag to your wall and are desperate to have one at home. If you’ve got any experience using this platform, please drop a comment in the section below! Moving onto the final model on our list of the best speed bag platforms, the RDX speed bag set. 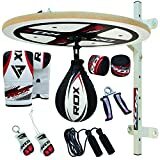 This is an incredibly cheap speed bag platform set that comes with everything you need for a great and intense work out from home. 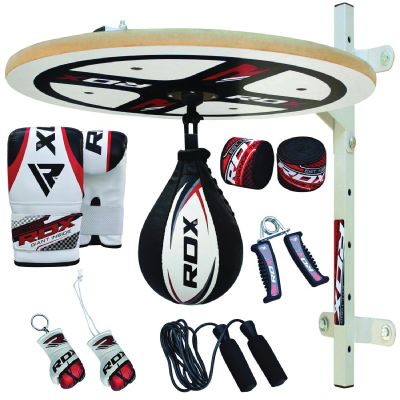 For example, the RDX speed bag set includes a skipping rope, hand gripper, hand wraps, Maya Hide leather gloves, a speed bag, swivel and the platform. This is a crazy amount of stuff to include in one set, especially given the affordable price. Unfortunately, it's height isn't easily adjusted. If you want to change the height, you have to unscrew the drum and lower it down the frame. With that in mind, I wouldn't recommend this set if multiple people of different heights are going to be using the speed bag. It’s not the best speed bag platform of all time, it is however brilliant for beginners looking to get their hands on all the necessary equipment in one go, without breaking the bank. How to Choose the Right Speed Bag For Your New Set Up? 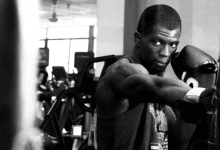 Of course, in order to start working out, you're going to need a speed bag as well. I've put together this list of a few things to pay attention to when looking for a decent quality bag. Speed bags come in all shapes in sizes. Generally speaking, heavier and larger speed bags are designed to work on muscular endurance and strength. Where as smaller speed bags tend to move faster and as such, are designed to improve speed and reaction times. If your speed bag platform has a large drum, it will be able to accommodate a variety of different speed bags. This in turn will allow you to develop different areas of your striking game, as well as your cardio. Each brand has their own slight variation of speed bags; however, you can really boil them down to two distinct shapes. The traditional speed bag is shapes like a water drop and is generally wider in the middle. The ‘Mexican Style’ speed bag essentially looks like two traditional speed bags attached together. Higher quality speed bags will typically be manufactured using natural leather as it tends to be the most durable and long lasting material. Having said that, these days synthetic leather is pretty much as good as genuine leather and costs slightly less. Speed bags tend to vary massively in price. Beginner speed bags tend to be cheaper and lower quality, where as professional standard bags will cost significantly more, but will be far more durable. Here’s a few key pointers that should help you install your new speed bag platform. It can a good idea to get someone to help you set up the frame, as they can be fairly heavy. Holding the platform and screwing it into place on your own is pretty difficult and could even be dangerous. Different wall types will require different types of screws an bolts. For example, attaching a speed bag platform to a concrete wall will require different fasteners to attaching it to a wooden wall. You want the bottom of the speed bag to be level with the bottom of your chin. As such, make sure you’ve measured everything correctly and attach the platform to the correct height of the wall. This is especially important if your platform isn’t adjustable. What Does a Speed Bag Do? 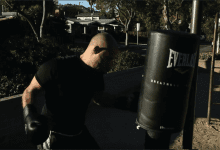 A speed bag allows you to train a number of different aspects of striking. 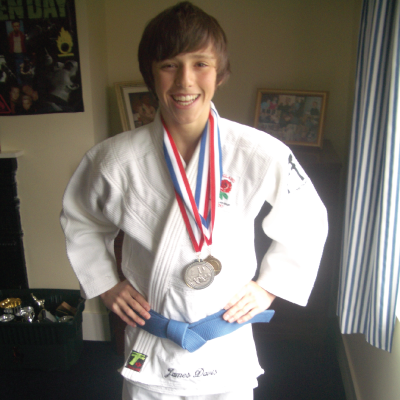 Firstly, it allows you to practice falling into a rhythm of striking that develops both your timing and your reflexes. Secondly, speed bag work outs allow you train both your strength and endurance, as well as being an incredibly fun form of exercise. There is a bit of a debate about the usefulness of speed bags. 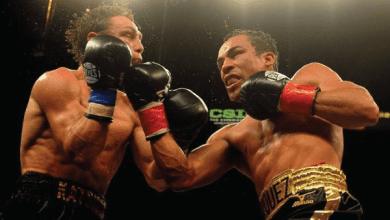 I personally love using them, however if you want to learn a bit more about this, check out our article on the pros and cons of speed bag work outs. 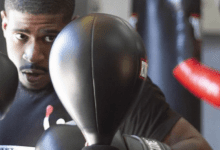 Check out this awesome video by Fight Tips for a tutorial on how to hit a speed bag as well as learning a few cool tricks. 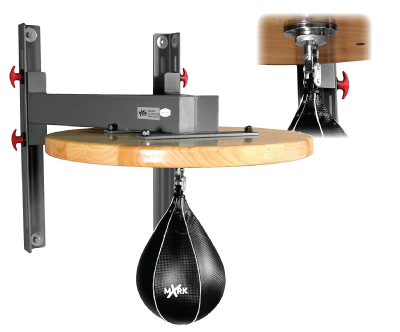 So, we’ve made it to the end of our list of the best speed bag platforms. Before we finish off, lets just decide once and for all which ones we recommend the most. 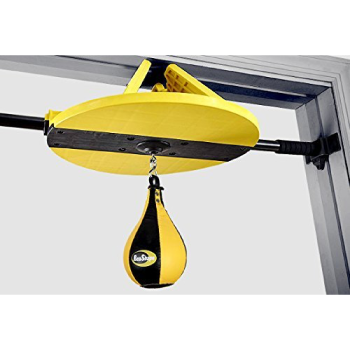 Balazs i-Box Speed Bag Platform – Comes highly recommended from us here at MMA Station. With an incredibly high quality build and durable design, it’s easily one of the top speed bag platforms around. XMark XM-2811 – It was really hard deciding which model deserved the number one spot, with much deliberating we decided to place the Xmark as a close second. If this is slightly to expensive, you can always opt for the new XM-4441 model, which is significantly cheaper. Thanks for taking the time to read our list of the top speed bag platforms, if you’ve got any questions at all, drop them in the comment section below! Product images courtesy of Amazon.com, featured image by FitOurBody.com, adapted by MMA Station. I had to get my wife to help me mount mine to the wall, the thing is bloody heavy! Thanks for the write up, i went for the XM-4441 and it doesn’t disappoint. Highly recommended. No worries, glad you found it useful. You’ve got a gooden’ there! Thank you for your guide. I have recently ordered a speed bag, platform and swivel and wonder if I need to buy gloves as well. If so, which gloves do you recommend? Gloves aren’t entirely necessary for a speed bag. Personally, I just go with some hand wraps and that seems to do the job. That being said, if you want to go for gloves, I would recommend going for a lighter pair, maybe 10-12oz. 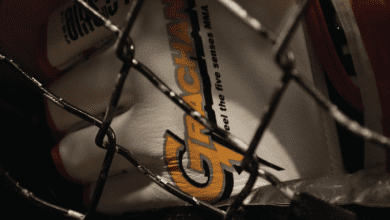 I also cover some good hand wraps in that article as well.